The SWCD office offers a wide range of educational experiences for youth or adult groups of all sizes. The SWCD has several models that we can use to allow for visualization of complex concepts as well as access to numerous national curriculum on water quality related topics. Custom programs can also be developed on other water quality issues by request. If you are interested in having us visit your classroom, club, or other group please contact our office. 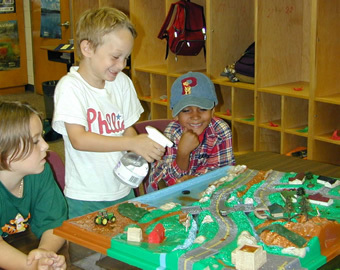 The EnviroScape model is a great tool to teach an overall watershed concept, especially with younger groups. The model uses food products to simulate pollution from runoff in an interactive way. Two waterways flow into a larger water body, which is representative of a lake, river, bay, or ocean. The unit can demonstrate the movement of water through a watershed and the pollution that runoff may cause. Ask us how you can tailor an EnviroScape demonstration to fit in your specific needs. 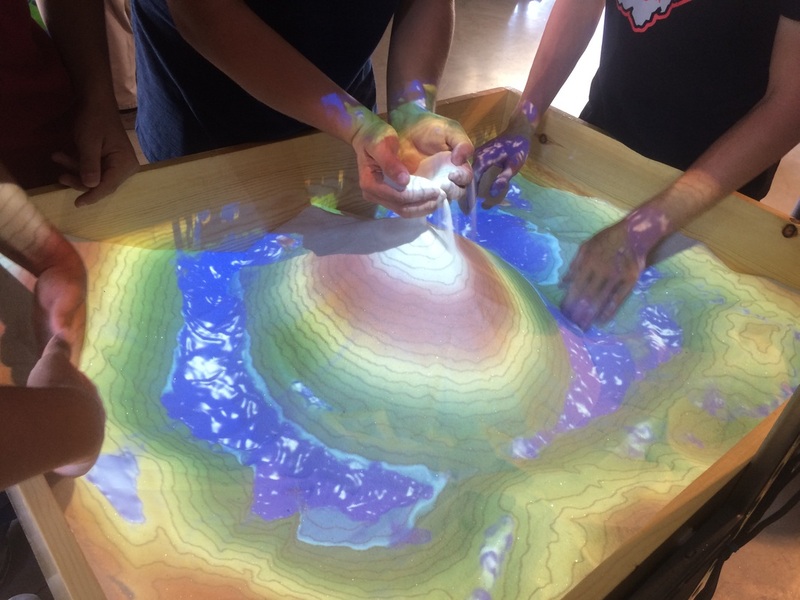 In collaboration with Harrison SWCD and the Watershed Specialist, we are able to travel with this amazing education tool to teach many topics such as watersheds, erosion, topography, etc. This table of sand uses colored light to project an image showing a topographic map that moves as the sand moves. This hands-on approach has been very successful in teaching youth and adults important concepts about conservation. 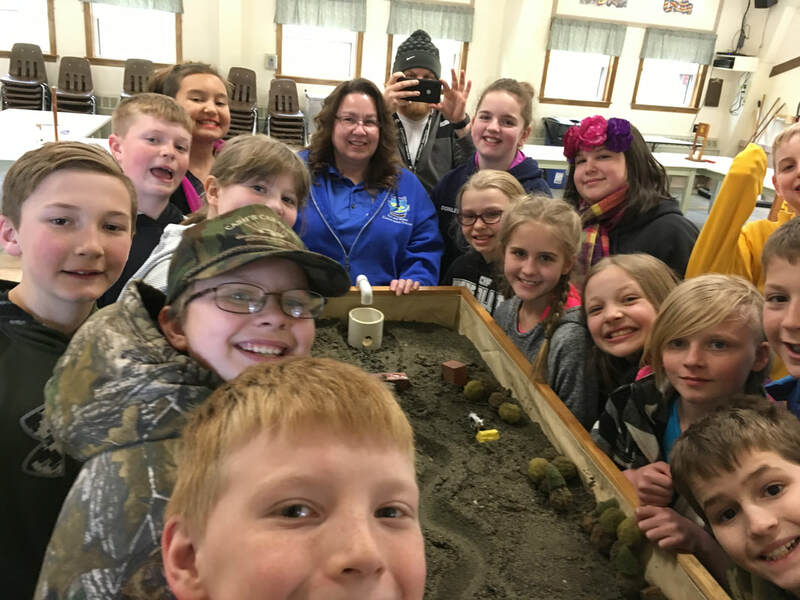 ﻿The groundwater model can be used to teach youth and adults many groundwater concepts including groundwater movement, groundwater contamination, potential land use activities that may impact groundwater. 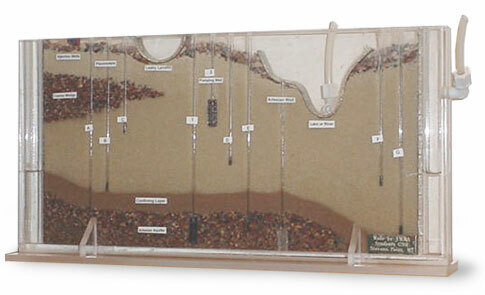 The groundwater model is a plexiglass tank filled with sand, gravel, and clay to represent a slice of the earth. The model simulates how water and contaminants move through different aquifers allowing people to "see" groundwater. The stream table is a large model of a stream. It uses sand and flowing water to simulate the changes we see occur in natural streams. Sediment transport, delta formation, stream morphology, erosion and deposition are all easily observed in the stream table. This model is very interactive and with older students can be used to conduct experiments, such as observing how different flow rates impact the stream. 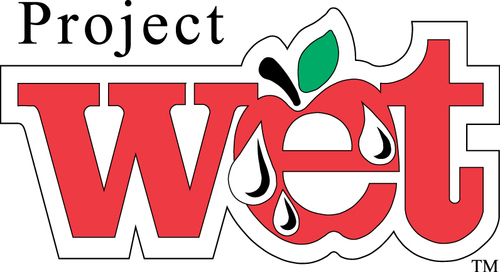 Project WET is a national program that is grounded in the belief that informed people are more likely to participate in the decision making process and to make a difference through their actions. Project WET teaches not only the scientific but also the social and cultural aspects of water. Project WET includes water-related activities that are hands-on, easy to use, and fun for kindergarten through twelfth grades. Healthy Water, Healthy People is an innovative water quality education program sponsored by Project WET and the Hach Scientific Foundation. The goal of Healthy Water, Healthy People is to make complex concepts of water quality relevant and meaningful for students. The Healthy Water, Healthy People is geared for Grades 6-12 and contains hands-on activities that are ideal for teaching water quality units as well as a supplementing existing curriculum. 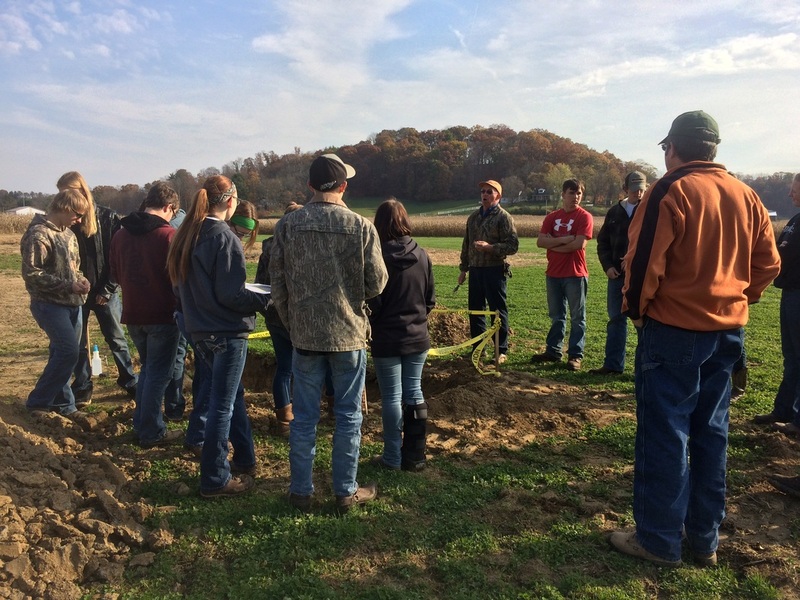 The Envirothon is a competition for high school students, which tests their knowledge of soils, forestry, wildlife, aquatic ecology and current environmental issues. In addition, the Envirothon encourages cooperative decision-making and team building. While each student on an Envirothon team is challenged to contribute his or her personal best, the score that counts at the end of an Envirothon is the team score. The Ohio Envirothon is sponsored by the Ohio Federation of Soil and Water Conservation Districts and the Ohio Department of Natural Resources. Natural resource and environmental specialists, including SWCD, write test and staff the various test stations.